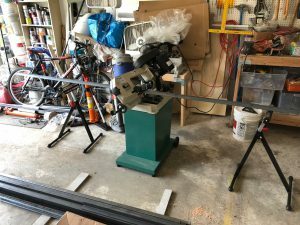 After investing in a new welder, horizontal bandsaw, and even a plasma cutter – my metal working tool collection has been growing. 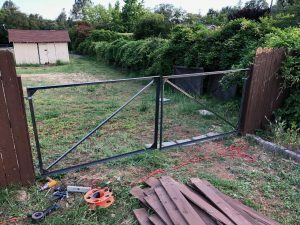 Time to get some practice in and build a long overdue project: metal gate frames for my garden fence. Using 1-1/2″ angle iron for the main edges for the frame, then use some 1″ square tube for the cross brace. 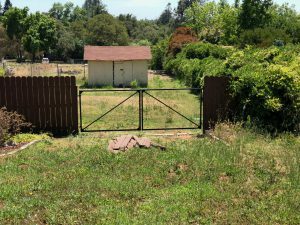 These had failed due to the weight of the old gate, and consequently needed to be replaced. 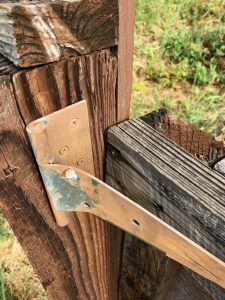 I decided to use some gate hinge bolts, then fabricate a receptacle for the frame. 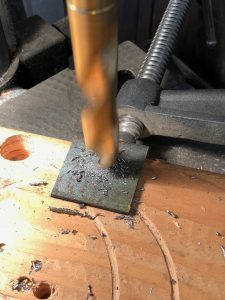 Pairs of 1-1/2″ x 1-1/2″ pieces of angle iron were cut using the horizontal bandsaw. 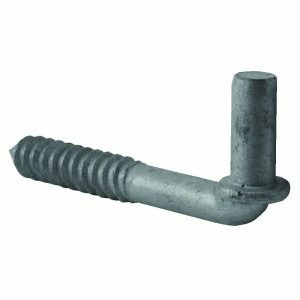 These were then drilled with a 5/8″ drill to receive the hinge bolt. 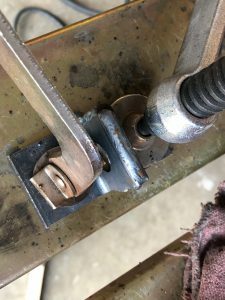 Two of the angle iron pieces were then welded together to make the hinge receptacle. The frame was then made using 1-1/2″ angle for the edges, and then 1″ square for the cross member. 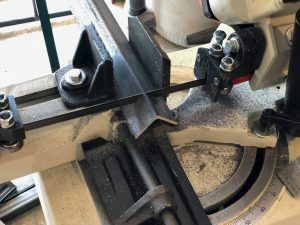 Additional strengthening was added using some 1/4″ plate cut in to gussets and welded in the corners where the cross member was attached. 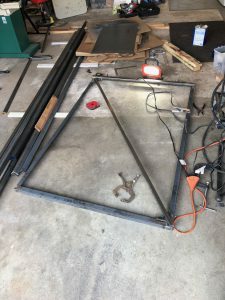 Laying out the angle iron and square tube (cross brace) for the frame. 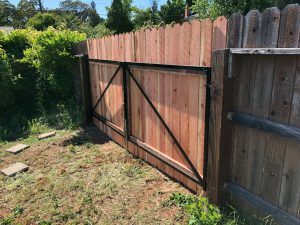 The first gate frame was then installed in the fence to see it’s fit. 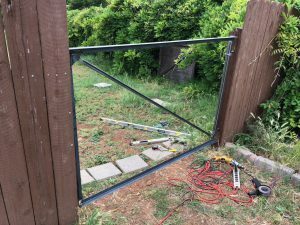 First gate frame complete, and installed for a test fitting. The second frame was welded up and after some adjustments, installed in the fence. After some adjustments of the gate hinges to get the gates to swing freely, the next stage was to paint them ready for the installation of the wood panels. 2×4 lumber was used horizontally on the metal frame. 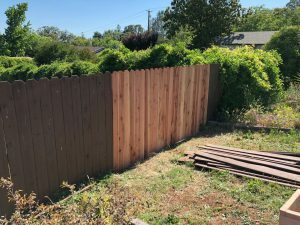 The fence panels were then screwed to this wood. 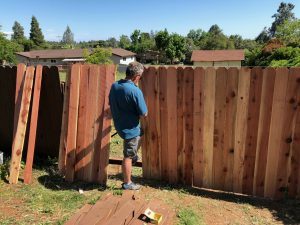 One of my friends happened to be visiting at the wrong time, and was put to work, helping to install the new fence panels. Front view of the gates – ready for staining.